Manufacturers and case makers alike go to great lengths to protect our smartphones from gravity and everyday use. The harsh reality, however, is that there’s another peril that has yet to be addressed: extreme cold and heat. A company by the name of Amited is working on a unique smartphone case called Optimal that promises to keep mobile devices at the ideal operating temperature automatically. 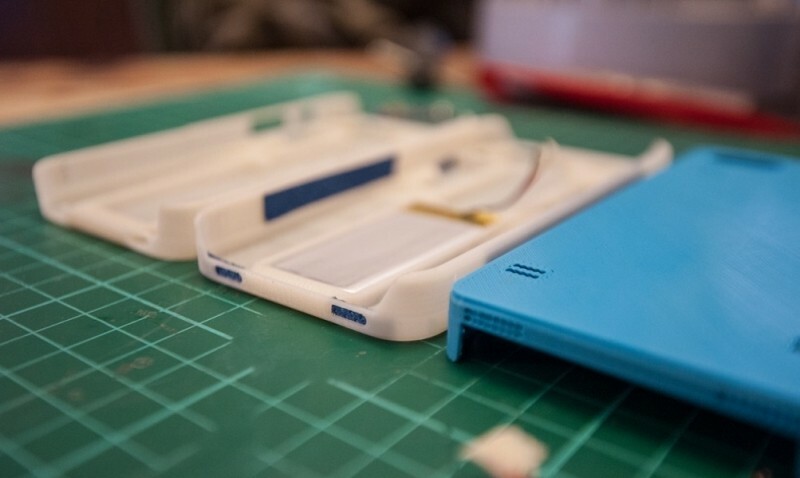 When the 5mm thick case detects a temperature change from either of its sensors, it can automatically engage either “anti-free” mode or “cooling” mode to regulate the temperature on the fly. In anti-free mode, the case will use its thin heating coil attached to the back of a copper plate to keep your device from getting too cold. In cooling mode, the case activates two tiny fans to circulate air through the back of the case. Optimal is said to be built from aluminum that acts as a large heatsink. Both modes can be controlled from an accompanying app and you can even set custom safe temperature zones, alarm thresholds and more. The chassis features strategic cutouts for cellular and Wi-Fi reception with no metal contacts, open charging and audio ports and no flash reflectors to interfere with a camera’s flash. Optimal can also withstand and protect your device from outdoor conditions including rain and dust. The company’s website says Optimal is being designed specifically for smartphones from Apple, HTC, Samsung, Sony and Xiaomi. As you can see from the embedded images, Optimal appears to still be very much in the design / prototyping phase. The company’s use of grammar is a bit suspect although I suppose that could be related to their Israeli roots. Amited plans to launch an Indiegogo crowdfunding campaign for Optimal within a few weeks.